Yeah, grab all the attention on the road and enjoy the commotion. 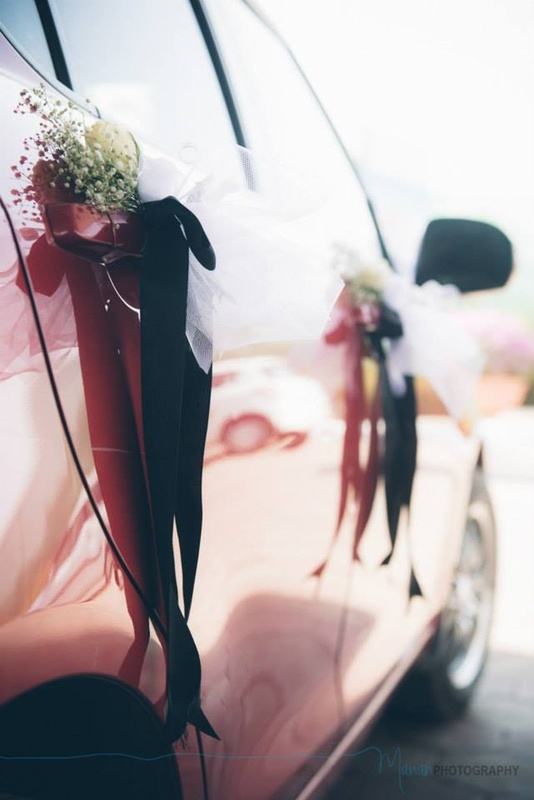 As your car drives around the city on your wedding day, welcome people who honk their horns, scream congratulations from their car windows, or wave from the sidewalk with a warm smile. That’s the perfect way to exit the wedding reception or even arrive at the wedding ceremony. Even if you manage to hire a professional decoration team for your car, it’s crucial to add that personal touch to make the efforts endearing. So, how do you decorate a luxury limo or maybe that modest Swift to get it bang on? Here are some ideas that will inspire you to pamper your ride and make sure everyone notices your celebration called ‘marriage’. Make the decorations affordable and opt for small plastic pom poms. They are just pretty and classic. Cover the hood, bumper, and windows with pom poms. If there’s a wedding theme or colour, make sure to use them. You could also write the couple’s name with the pom poms and make the car exterior colourful. Don’t create an oopsy moment with sticking that white A4 size paper mentioning who weds who. How uncreative and ‘I-don’t-have-time’ is that? Churn out your magic with magnetic posters or banners that cling anywhere on your car. Make your own wedding sign with pictures of the newlyweds. How about printing those photos of the bride and groom’s funny faces, at parties, or just a nice click of them together as a couple? Obviously, the better version of a fire brigade alarm. We’ve had enough of the sophisticated sign boards and ribbons. Noise makers are a must when decorating the wedding car. Tie noise makers such as tin cans or plastic soda bottles to the bumper. Umm, it will definitely bring attention to the new couple as they leave. You could also tie those pretty bells in different hues. We couldn’t resist this idea. In India, it is considered to be auspicious and classic. A gorgeous garland of lush greenery, pink-and-burgundy dahlias, blush roses, or fresh orchids will seal the deal. There's something undeniably overwhelming about this idea. It's not only a nod to wedding traditions (your parents and grandparents would love it) but gives a fresh look to the vehicle. So, take a cue from these décor ideas and make the journey as fun as possible. Isn’t it a great feeling to have a picture-perfect getaway car waiting just outside your venue doors to whisk you away into marital bliss?